Are you ready to buy an iPhone 5??? Do you plan to show your iPhone 5 to your friends or bosses?? Wait till you see this very new iPhone !!!! 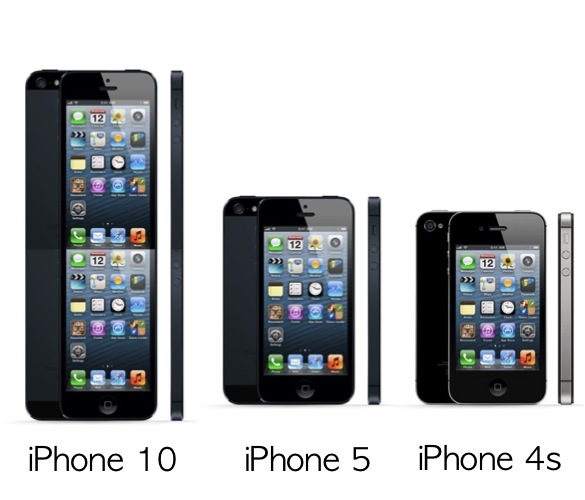 Right after Apple released an iPhone 5, which is longer than iPhone 4/4S around 8.6mm, I got a forwarded email from my friend that Apple also planning to develop an iPhone 10, which is 2 times longer, faster and better than iPhone 5. In fact, you can also design by your own…just cut and paste and then multiply by 5…hahahaha…. This entry was posted in Technology and tagged iphone, iphone 4, iphone 5 by Guntur Gozali. Bookmark the permalink.